Huawei is one such brand which teases its smartphones months ahead of the launch. For example, the company has confirmed the launch of its Mate 10 lineup in July itself. 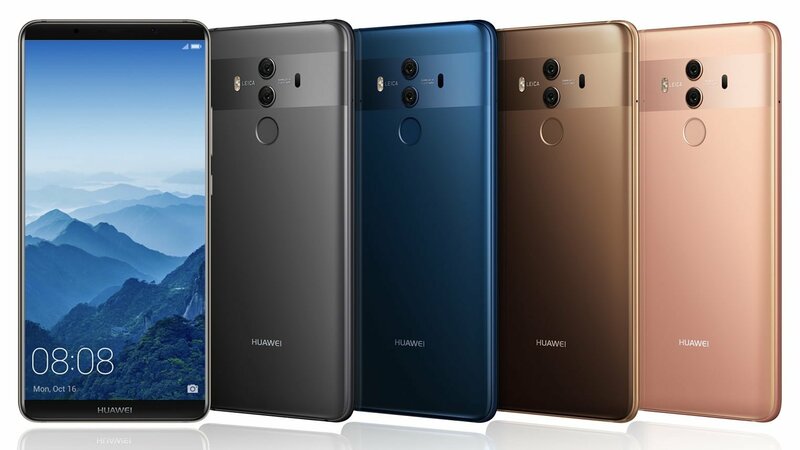 And today, Huawei has officially launched its Mate 10 lineup, which consists of three smartphones- Huawei Mate 10, Mate 10 Pro, and Mate 10 Porsche Edition. The standard Huawei Mate 10 comes in two colours- Black and Champagne Black. The Mate 10 has a 5.9-inch Huawei FullView Display with an aspect ratio of 16:9 with a resolution of 2560 x 1440 pixels. This smartphone is powered by the HiSilicon Kirin 970 chipset, which is the company’s flagship chip for 2017. The Kirin 970 SoC has a dedicated Neural Network Processing Unit for Artificial Intelligence (AI), and it’s an octa-core CPU with four Cortex A73 cores clocked at 2.36GHz and other four Cortex A53 cores clocked at 1.8GHz. The chipset is coupled with 4GB of RAM and 64GB of internal storage, which can be expanded up to 128GB with a microSD card. As said earlier, the Huawei Mate 10 supports dual-VoLTE, meaning you can use both the SIMs to make VoLTE calls, hence saying goodbye to 3G. The Mate 10 has support for Bluetooth 4.2, Wi-Fi, USB Type-C port. It also has sensors such as Fingerprint Sensor, G-Sensor, Gyroscope Sensor, Compass, Ambient Light Sensor, Proximity Sensor, Hall Sensor, Barometer, Infrared Remote Control. The highlight of the Huawei Mate 10 lineup is the camera setup at the back. The smartphone has a 20MP monochrome sensor and a 12MP RGB sensor with f/1.6 aperture, and OIS support. Huawei also added support for dual LED flash, PDAF, laser and depth autofocus. There’s an 8MP front-facing camera with f/2.0 aperture. 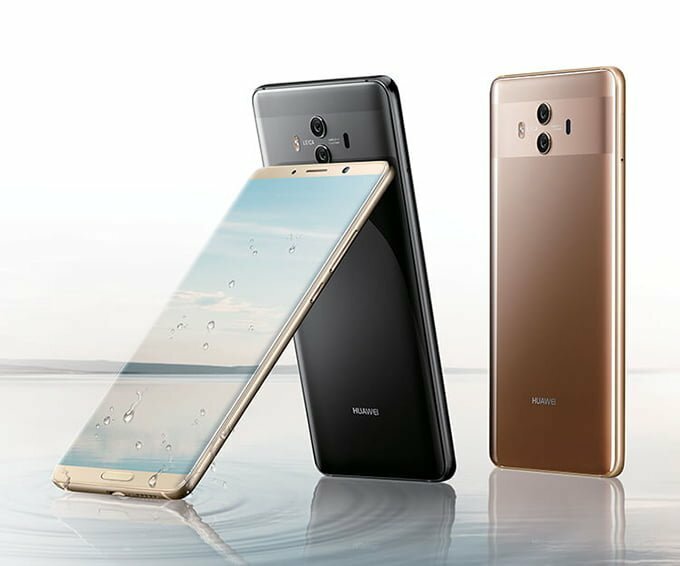 The device boots Android 8.0 Oreo with Huawei’s EMUI 8.0 on top. And it’s backed by a 4000mAh battery. Here comes the boss of the lineup. The Huawei Mate 10 Pro features similar hardware specs as the Mate 10, but there are some noticeable changes. First one is the display. Yes, the Mate 10 Pro has a 6-inch Huawei FullView display, which is an OLED panel with 18:9 aspect ratio. This smartphone is also powered by Huawei’s in-house Kirin 970 SoC and runs Android 8.0 Oreo out of the box. It comes in two variants- 4GB RAM+ 64GB storage, and 6GB RAM+ 128GB Storage. This phone also supports dual VoLTE. The camera setup is also the same as the Huawei Mate 10 with a 20MP Monochrome sensor and a 12MP RGB sensor. We also get the same 8MP front-facing camera. This smartphone also comes with a 4000mAh battery. Huawei also added a Desktop Mode in the smartphone, which works same as the Samsung DeX feature. This is what the masses needs now. Dual 4G standby.